SFW082DTB Combination Fire/Water Safe is rated 4.4 out of 5 by 8. 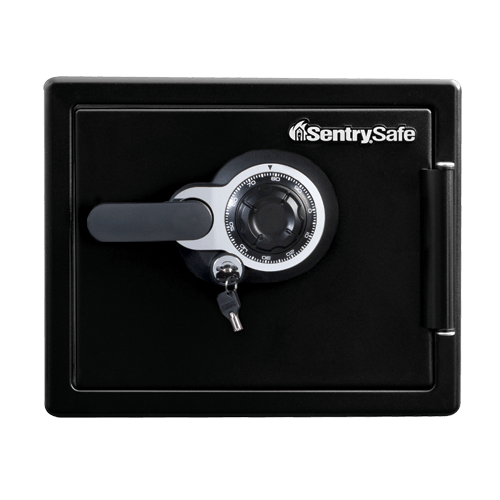 The SentrySafe SFW082DTB offers fire resistance, protection from water damage and dual combination/key lock for added security. View safe. Rated 5 out of 5 by AtAl from Peace of Mind I now feel my important documents and memories are secure from theft and safe from fire or water damage in the convenience of my own home. 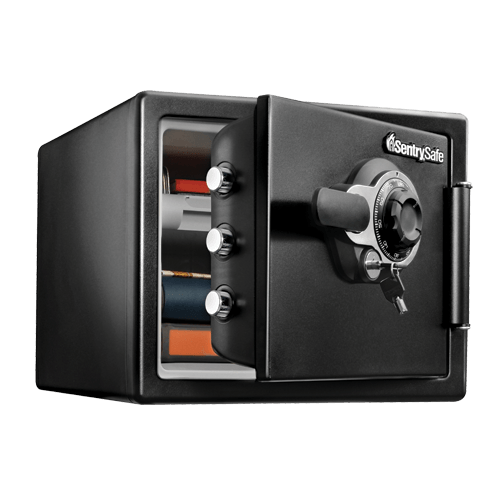 The fees I was paying a bank for a security deposit box will soon cover the cost of my safe. Perfect size and easy to use. Rated 3 out of 5 by gene66 from very good if anyone reads this at the co. level I did not read any where in the promos for this safe that comes with a mounting kit as soon as you drill a hole in the safe for the bolts it voids the floods part of warranty until you open book for the safe !!!!!!!!!!! 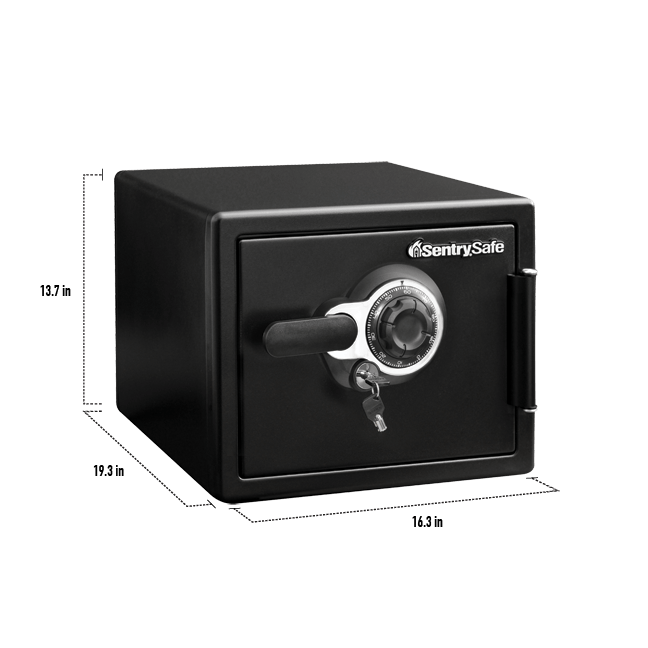 Rated 4 out of 5 by DaviddivaD from SentrySafe The safe is a good size for my needs. It is also heavy duty. I like the large dial on the front. Would give 5 star but handle is a bit cheap and afraid it would snap if pulled to hard. Rated 4 out of 5 by california girl from Good Nice size & works well, but the handle is plastic, which makes me worry that it could break after several times opening & closing it. I like that it has a sliding tray for my jewelry. Rated 5 out of 5 by PhilD from Good product at a great value Awesome product for the value! 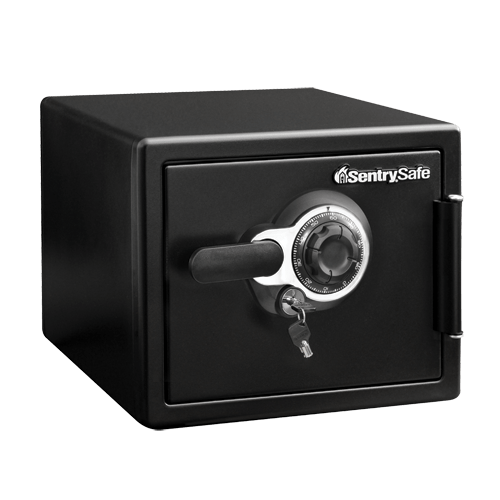 I currently own two sentry safes one for each of my homes. Keep important documents safe! Rated 5 out of 5 by Oluwafemi Babatunde from Strong and safe I love it it's exactly what I want to save my documents from the purpose of safety. Rated 5 out of 5 by RP156 from Secure Safe An Excellent safe for important documents. A good value for the money. Rated 4 out of 5 by Neal Familyjr from Very good value for the money. I am very pleased with my decision to purchase this product.